Today is the final article of our three-part ‘Adulting Mondays’ series where I (Tamara) attempt to demystify the upcoming local elections in Pompey. In the last three weeks, we have discussed registering to vote and the role of the council and local councillors. Perhaps you were inspired to email them a few questions or attended a hustings. Hopefully, you have an idea of who you are going to vote for this Thursday 3rd May 2018. 2. 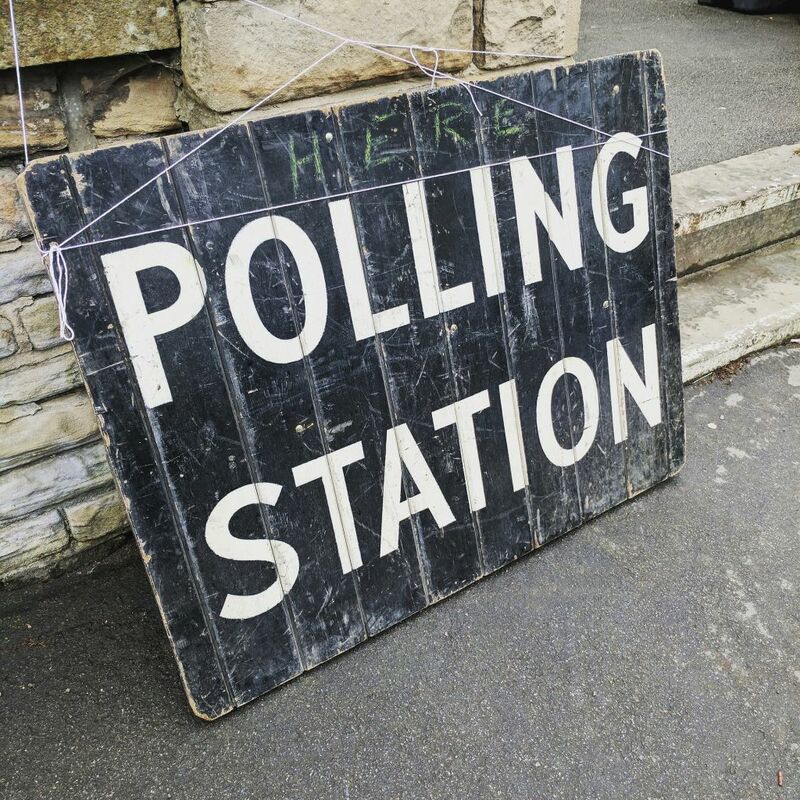 Rock up to your local polling station any time between 7am – 10pm on election day. You do not need identification or your poll card to vote. I repeat you do NOT need ID or your poll card to vote! Congratulations and celebrations! You made it to the polling station on the correct day and in time! And probably in the *rain/snow/sleet/sun (*delete as appropriate). 3. As you enter, you may see a few political party members with party rosettes waiting just inside the polling station. They may ask you for your polling number. They are not election officials and you are not obliged to give them these details. But please be nice, as they are activists and volunteers who are supporting their local candidates and political party. 4. Once inside the polling station, the election officials will ask you for your name and address. They will find you on the list and give you your ballot paper. If you are not sure of what to do, just ask them. 5. Go hide in the booth and mark an X in the box of your chosen candidate using the pen provided. 6. Do not take a selfie of your marked ballot paper. This is frowned upon, secrecy of the voting process and all that. 7. Put your ballot paper in the designated ballot box. 8. Congratulations, you have just voted! 9. Stride out safe in the knowledge you have exercised your democratic rights. 10. Feel smug for the rest of the day. If you have any questions about the voting process, just ask in the Comments Section. 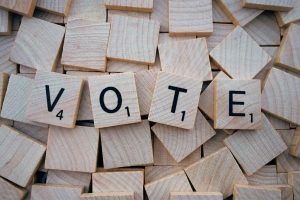 Inspired by Portsmouth News’ ‘Letter of the Day’ encouraging voters to ask questions of their local council candidates, today’s blog post takes those same questions on air pollution, plastic recycling, rough sleeping and proportional representation and puts them to the Pompey Green Party local council candidates. Q: Where do you stand on pollution of the air, and what are your views on how to make our area clean air areas? Air pollution is the invisible killer in our city. 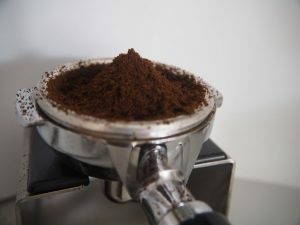 If you walk down Kingston Road and Fratton Road or, indeed most of the all-too-many congested areas of Portsmouth and you can taste it and feel it in your nose and eyes. 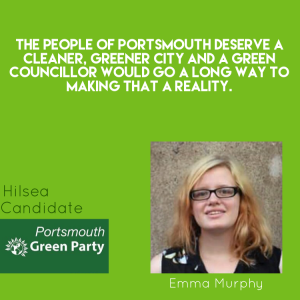 In a recent article in The News, the current City Council leader announced plans to make Portsmouth “the Greenest City in the country”. 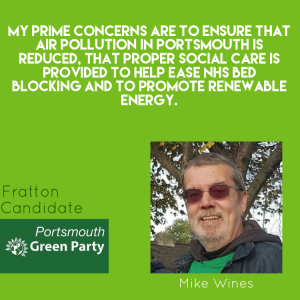 This is interesting as they have yet to even produce their Air Quality Control Plan promised for last year Christmas 2017, let alone launch the e-petition Portsmouth Green Party along with other concerned groups under #LetPompeyBreathe submitted 2 weeks ago calling for the urgent production of said Air Quality Control Plan. The introduction of “Boris bikes” is a welcome step but until the city has a clear network of safe and inviting cycleways cross the city it is but a gimmick. At the same time as the Council want to turn us into the Greenest City, they are also working on plans for the Hard area to be a “little Manhattan” with the M275 entrance into the city inviting more and more cars. Does the word oxymoron come to mind? More trees being planted and NOT cut down as at St James Hospital. Our depleted green areas to be preserved. An integrated public transport system using clean, green energy. Air pollution is one of the biggest health risks in the UK and nearly 100 people die prematurely every year because of small particulate pollution. 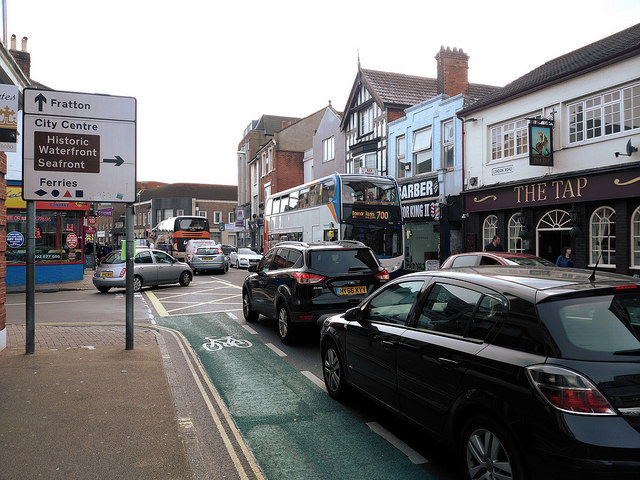 Copnor Road is one of Portsmouth’s most congested roads, so I am a strong supporter of the #LetPompeyBreathe campaign to monitor and improve the city’s air quality. 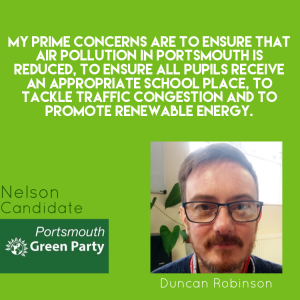 Portsmouth City Council needs to urgently publish a draft Air Quality Action Plan for consultation. It has to give details on how air quality will be improved to safe levels and set specific targets and timeline. I support the introduction of Clean Air Zones as they offer the fastest and most effective way to improve air quality across the city. 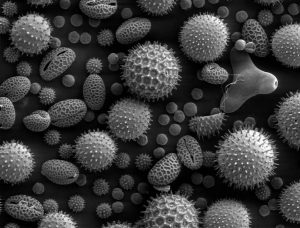 Air pollution is a public health emergency and has been linked to a range of diseases, as well as shortened life expectancy. I’ve been involved with the #LetPompeyBreathe campaign which has focused on raising public awareness and holding the council to account. Portsmouth City Council needs to plan and implement effective solutions, which the current council has been reluctant to do. One of the best ways to ensure air quality improves is a city-wide charging clean air zone, which levies a fee at the most polluting vehicles driving in the city. The money raised can go towards improving the walking and cycling routes, as well as better public transport. We also need to change our priorities in planning applications, moving away from car-centric housing and shopping developments, and towards a human-friendly urban environment. For more information, please visit the #LetPompeyBreathe blog and facebook pages. Q: Regarding plastic – a very useful product but one that is being abused. 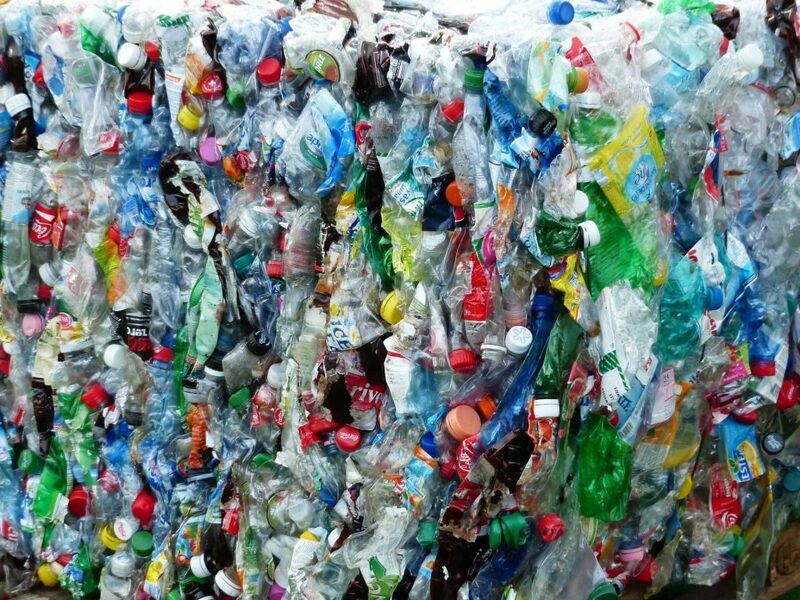 Do you support the idea of the councils having a department in which this plastic could be recycled by using machinery that can grind the plastic into granules and then sold back to manufacturers? 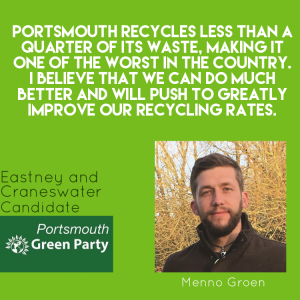 I heavily support the idea of the council having a department to recycle plastic and sell the material back to manufacturers as it would increase our recycling rate, provide jobs for the people of Portsmouth, and increase money for the council without raising taxes. Win-Win-Win. 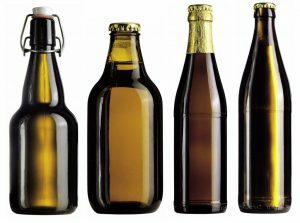 Plastic waste is a blight on our beautiful landscape and something needs to be done, but I would also say that PCC needs to increase our recycling rate overall –Portsmouth has one of the lowest in the South East – by doing things like increasing what we can recycle at kerbside and put recycling bins in public spaces. I believe recycling in Portsmouth should be massively increased, to include food waste and carton collection. In regards to the collected plastic, this should be recycled by using machinery that can grind the plastic into granules and then sold back to manufacturers, where there isn’t a more efficient recycling option. I also think that the use of single-use plastics should be stopped wherever possible. It has become increasingly obvious in recent times how problematic plastic can be, with both mainstream and social media apparently recognising the issues it presents and the devastating damage it has on the planet, why has Portsmouth City Council not woken up to it yet? Ecologists have estimated that there will be no fish in the sea in a short 30 years, as sealife struggles to exist amongst overfishing and the tonnes of plastic that we empty into the oceans each year. Increasingly frustrated by the perfectly recyclable contents of my green bin being rejected, I emailed PCC to query why I am still having to throw away roughly three-quarters of my recyclable plastic. I received no response. This is shockingly below par in comparison to other cities in the U.K. and needs to be addressed immediately. As a seaside city, we should consider the ocean as an absolute priority. 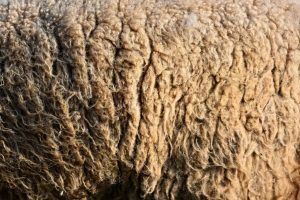 The idea of machinery that can grind up plastic and resell it to the manufacturers sounds like an efficient answer, this should both curb the number of plastics being produced from scratch and lessen the amount that would usually end up in landfill or wrapped around a defenceless creature’s throat. Q: We have a problem with homeless sleeping rough in all our local areas. Should the councils be operating shelters and day centres to help these unfortunate people? 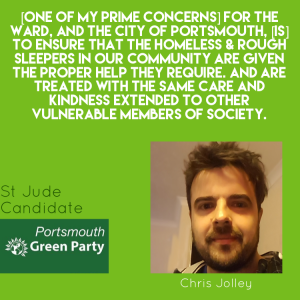 I am horrified by the increase in rough sleeping in the Portsmouth area. I believe we need to ensure that not only are there sufficient hostel places in the short term but also that we look at long-term solutions to help people move into more settled accommodation with the necessary support. I do not believe that anyone should be left with nowhere to sleep. 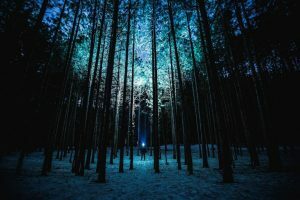 Currently, it seems as though it is private organisations, individuals and charities that are making the real effort in trying to help those in dire need, with the current councils’ efforts lagging woefully behind. Unfortunately, this seems to go all the way up to a Government level, but whilst we need an overall change in policy, we also need action much closer to the issues and this should undoubtedly be council led. 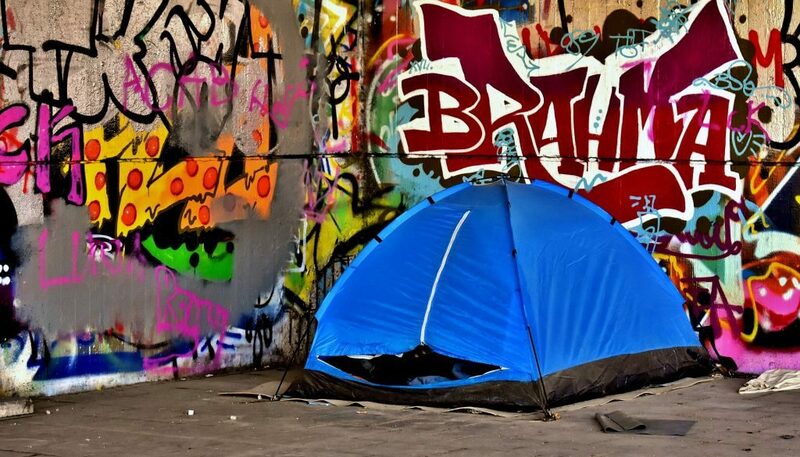 Rough sleeping in Portsmouth has increased consistently over the past few years in a direct correlation to changes to the benefits system and cuts to essential local services such as mental health and domestic abuse support. In 2016, Portsmouth was one of the top 10 local authorities with the largest increase in the number of rough sleepers. This is unacceptable. The council needs a proactive, person-centred approach to addressing the complex needs of those both experiencing and at risk of homelessness. 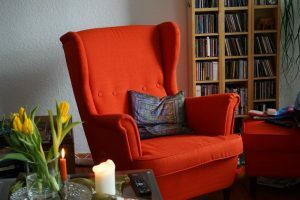 The Green Party takes a “Housing First” approach which provides people experiencing homelessness with accommodation as quickly as possible – and then provides the services they need such as treatment for substance abuse and mental health issues. To do this, we need an increase in council housing and to provide year-round shelter schemes, not just in the winter-time. Local charities and community groups have stepped in to assist rough sleepers in areas where the council is failing as those forced to sleep rough on the streets are often not considered a ‘priority’ according to the council criteria. Housing is a basic human right and I would push for an increase in council spending in this area. Q: Would you support a form of proportional voting using any system that is fair but not the alternative vote which was soundly rejected during the Cameron-Clegg administration? There can be wisdom in crowds. Ask enough people with a wide experience of life and you may get a wiser decision. Life is more complicated than Right vs Left. Politics needs to reflect this. The First past the post system is simple and well established. For most of the past 100 years, it has ensured alternating Conservative and Labour governments. All other parties and political ideas are crowded out. Proportional Representation (PR) along the lines of the Scottish and other regional elections would challenge this. It would give voice to a wider range of ideas and encourage representatives to work with each other and find a compromise rather than conflict. PR would also encourage more participation in politics and elections. There should be no such thing as a ‘safe seat in Parliament’. There are too many of those at present, where it matters not who you vote for or whether you vote at all. Every vote should count. Who could possibly be against that? 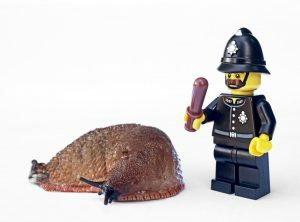 The voting system we mostly use in the UK, first-past-the-post, often results in many of the votes being wasted, as well as complacent MPs in safe seats and disillusioned voters. Proportional representation would not only produce fairer and more balanced results, it also tends to produce higher turnouts. 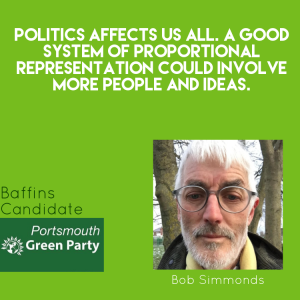 The Green Party has long supported introducing proportional representation. As I’m originally from The Netherlands I’m very familiar with the Party List PR system, but I would support any fair and proportional system, such as the Single Transferable Vote (as used in Scotland’s local elections and Northern Ireland) or the Additional Member System (as used in Scotland’s parliamentary elections, Wales and the London Assembly). First-past-the-post may have worked for the UK in the past, but fewer and fewer people are voting for the two largest parties and it is not fit for purpose anymore. Proportional representation, whichever system is ultimately selected, is the best way forward. 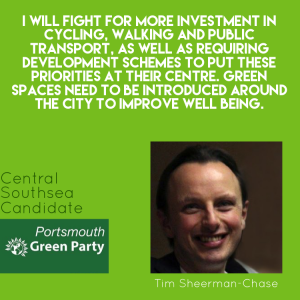 To find out more about the individual Green Party candidates, go to the Candidates page on the Portsmouth Green Party website. And yes, for those eagle-eyed regular readers, candidates Emma and Tamara are also us, Emma and Tamara the Shades of Green blog writers. Busted! We decided to put ourselves out there. And remember to tune in next week for the final instalment of Adulting Mondays, the election special where Tamara explains how to actually vote. Where is my local polling station? Do I need ID? Never fear, Tamara is here…on Monday! Have you got any questions for the Green Party candidates? Or perhaps you have an experience of standing in an election. Let us know in the Comments section. Welcome to Part Two of a three-part series of Adulting Mondays where I (Tamara) attempt to demystify the upcoming May 3rd local election in Pompey. Today, I am exploring local council and councillors and what the flippin’ monkeys it is all about. So, prepare to be skooled, yo! Portsmouth is a unitary authority which means Portsmouth City Council (PCC) is responsible for all local government services in Pompey. It basically does the jobs of-of a county council and a district council combined and is responsible for public services that affect our daily lives. Southampton is also another nearby example of a unitary authority. Yes, Portsmouth is geographically in Hampshire but being a unitary authority is the reason you can’t use a Hampshire County Council library card in Pompey and vice versa. I’m looking at you Mr Rude Dude who aggressively shouted at a Central Library librarian because you couldn’t use your Hampshire library card to access the computers. Pssstt and boooo to you! The different local services Portsmouth City Council deal with are numerous and include housing, recycling, waste collection and disposal, council tax billing and collection, environmental health, education, libraries and social services, to name but a few. For example, do you have have a dodgy landlord? Rubbish not collected? 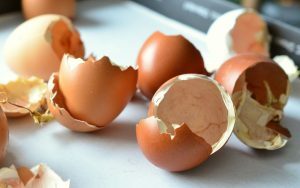 Want more recycling facilities? Have a noisy neighbour? Tired of potholes on your route to work? Contact Portsmouth City Council and your three local ward councillors. The geographical area PCC cover is divided into two parliamentary constituencies: Portsmouth North (currently Conservative MP Penny Mordaunt) and Portsmouth South (currently Labour MP Stephen Morgan). So, these two constituencies are each made up of seven electoral divisions known as wards. Nowt to do with hospitals! It is the role of local councillors to represent their ward and the interests of the people who live and work in that area. 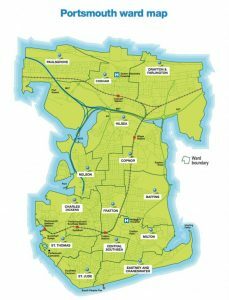 Anywho, in Pompey, we have 14 wards with three councillors representing each ward, with a total of 42 councillors (3 councillors in each of the 14 wards = 42. See – I can do smart!). Councillors can be independent or affiliated with a political party – totally up to them. The Portsmouth North wards are Baffins, Copnor, Cosham, Drayton & Farlington, Hilsea, Nelson and Paulsgrove. 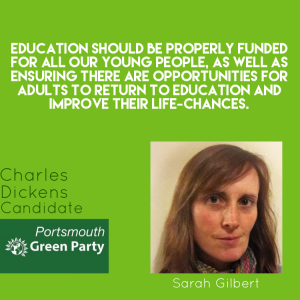 The Portsmouth South wards are St Thomas, St Jude, Central Southsea, Eastney & Craneswater, Milton, Fratton and Charles Dickens. The ward boundaries can seem pretty arbitrary, for example, I live in the Eastney and Craneswater ward but I live literally two steps from Milton market which is in the Milton ward. Therefore, I feel invested in both areas. You can find out what ward you live in here and who your current councillors are here . Councillors are elected for a four-year term. 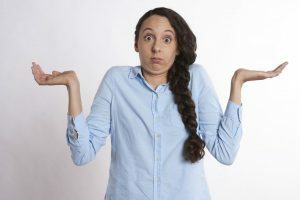 The cycle of elections can seem a bit confusing but basically here in Portsmouth, a third of the councillors are elected every year over a four year cycle – with no elections in the fourth year. At the moment PCC is a Conservative-run council as there are 20 Conservative councillors, 15 Liberal Democrat councillors, 2 Labour councillors, 2 UKIP councillors, 2 Independent councillors and one vacant seat. For the Conservatives to run this minority council, both the UKIP and Independent councillors lend them their votes. This effectively puts the Liberal Democrats in the Opposition. The Full Council (all 42 councillors) elect the Leader of the Council (currently Conservative Donna Jones), and the Leader appoints the other members of the Cabinet – known as Executive councillors. Each cabinet member holds a separate portfolio or responsibility for a particular part of the council’s services, such as housing or education and is the spokesperson for that policy area or ‘portfolio’ they are responsible for. 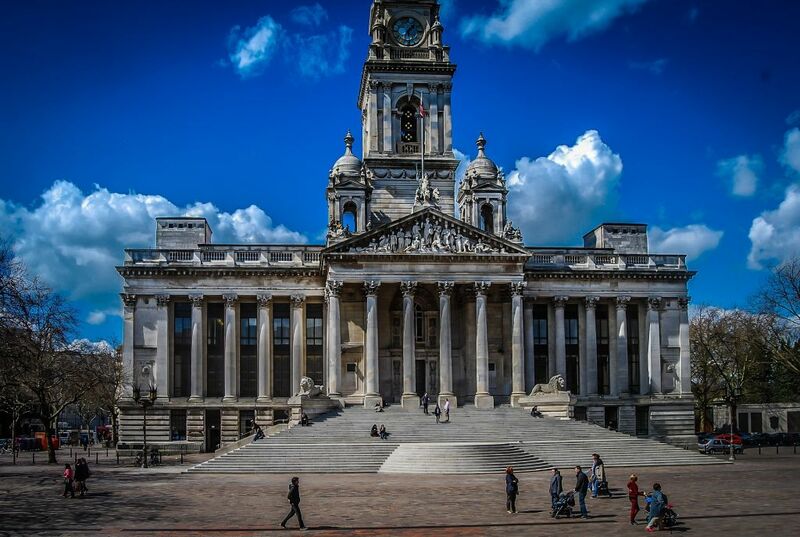 The Cabinet tends to be made up of the ruling political party – so for us in Portsmouth the Cabinet is currently made up of 9 Conservatives councillors. 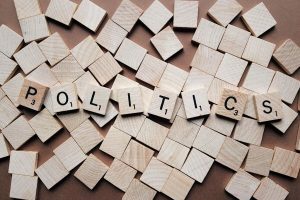 Scrutiny Committees are there to hold the Cabinet and Executive councillors to account and usually tend to be more politically-balanced and made up of non-executive backbench councillors. Being a councillor is a pretty full-on commitment with tasks ranging from handling local constituents issues and concerns, dealing with casework and council business, developing council policy, working with council officers, scrutinising cabinet decisions and engaging with the community. Councillors are not paid a salary as such and many also have a regular day job, families and responsibilities outside of their role of councillor. They are paid a basic allowance of just over £10,000, travel and accommodation expenses and then extra for additional duties and special responsibilities such as being Leader of the Council, the Mayor or an Executive Cabinet member. 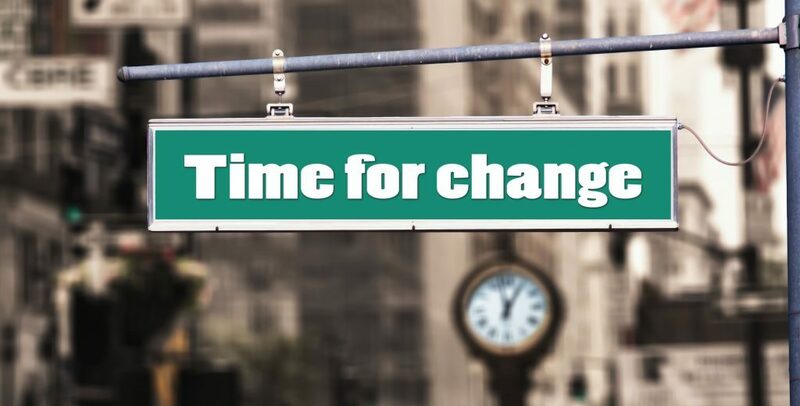 To find out who your local council candidates are for the upcoming election on May 3rd and to read their candidate statements: visit All About My Area. 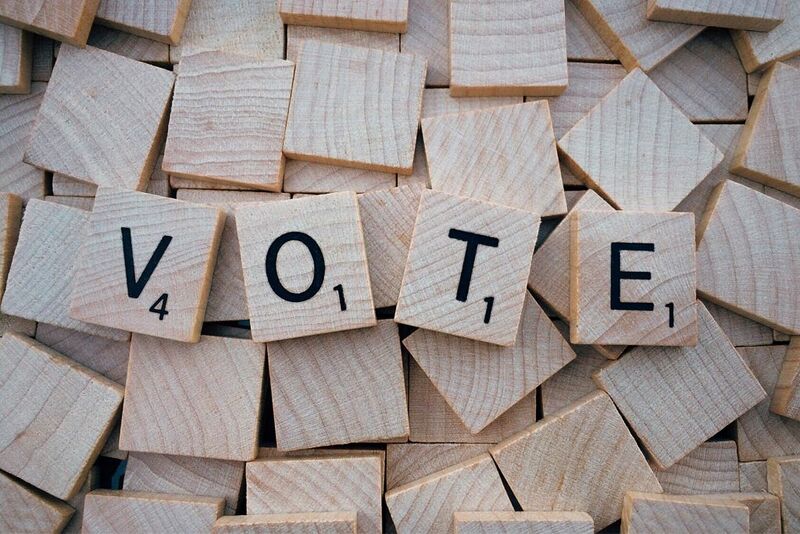 And in considering who to vote for, why not contact your local councillor candidates to find out their opinions on issues that matter to you. You can use this Portsmouth News Letter of the Day ‘Ask candidates pertinent questions before you vote’ as inspiration. Let us know in the Comments section if you have any questions about the local elections and council, and I will do my best! Tune in next week for the final part of this series – How to Vote, yo! 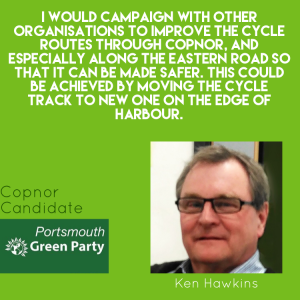 As you may be aware, local elections in Portsmouth are coming up on May 3rd. This is the first in a three-part series of Adulting Mondays where I (Tamara) pretend to be a grown-up and de-mystify local elections, starting with registering to vote. So consider this your Public Service Reminder to register to vote! To vote in the local elections in Portsmouth on 3 May, you need to register by midnight tomorrow Tuesday 17 April. Don’t know how to register to vote? Too busy enjoying the sunshine (woop woop!) to Google it. Never fear, Tamara is here! Register Online: With the registering deadline just over 24 hours away, the easiest way to register to vote is to do it online: gov.uk/register-to-vote. Personal Details: You will need to provide some personal information such as your name and address (obvs! ), your nationality, your date of birth and your National Insurance number. Once you are registered to vote at your current address, you don’t need to do it again, unless you change address, name or nationality. Congratulations, you have adulted on a Monday! 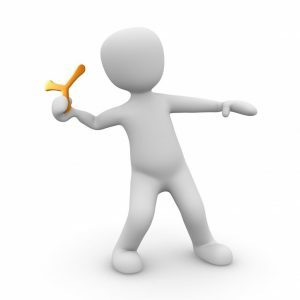 You say…I’m not from Portsmouth, Can I even vote? be registered to vote – well, duh! You say…I might be already registered to vote. Who knows? 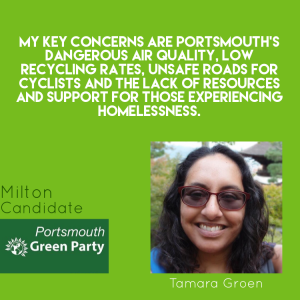 Tamara says…If you are not sure if you are registered to vote at your current address, call the Portsmouth City Council Election Services on 023 9283 4074 and they can check for you. 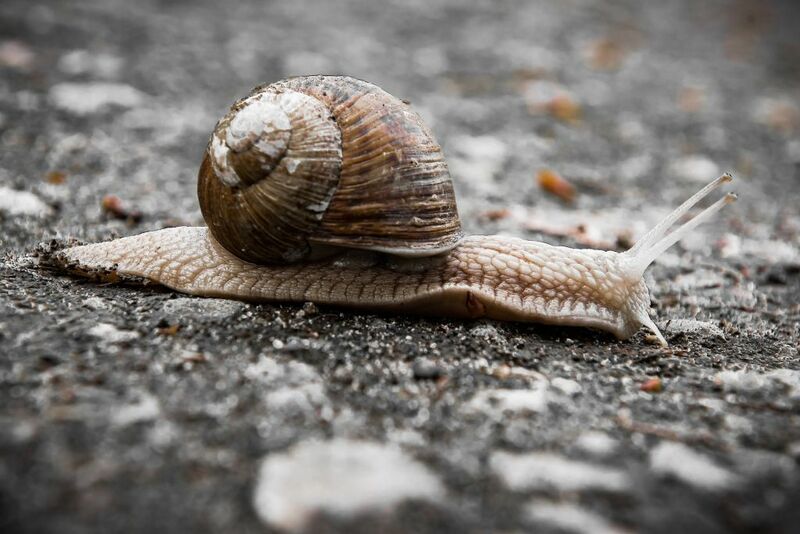 You say…I’ve just moved house. Tamara says…If you have recently moved, yes – you will need to re-register to vote at your new address. There is no magical updating system, a shame I know! But the registering system is pretty quick and easy, so don’t give me that crud excuse! 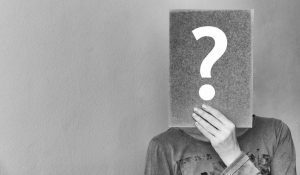 You say…I’m a uni student, where can I vote? Tamara says…If you are a student, perhaps at the University of Portsmouth, did you know you can vote twice?! Basically, if your home address is in a different local authority area to where you live in term time e.g. you are living in Pompey in the term time and your home address is in Southampton, you can vote in the local elections in both areas. This is my tip of the day, as I had no idea of this fact when I was at university. I always thought that was illegal. In local elections it’s fine! Who knew?! Not me! Chillax, dear reader. Tune in next week when I attempt to break down the local council and upcoming local elections into tasty bite-sized chunks. Prepare yourself for a series of me pretending to adult! Huaazh!